Hey, everybody! It’s the last Saturday of the month, time to wrap up what I did this month. March was kind of crazy for me, and I can’t even remember most of what happened, but here are some of the major things. Mostly, this month has been full of school. I’m taking 19 credits this semester, rather than the usual 16, and four of my five classes have associated labs. Don’t get me wrong; I love school, and it’s great to finally be taking advanced genetics courses. It’s just been crazy taking that many credits and squeezing in time in the lab. One of the major things I’ve been doing this month is writing a 12-page proposal for my summer research project. I really thank God that He gave me the inclination to write in my childhood and that I’ve practiced enough that I can now write what everybody said was a pretty killer proposal. But it wasn’t without its difficulties. There are enough articles written on the role of polyamines in rice to fill a two-volume encyclopedia, and I had to boil that down into five pages for the literature review part. But it worked out in the end, thank God, and I was able to submit it for my funding request. We’ll see what happens! Just because I hadn’t finished the proposal didn’t mean I couldn’t start my research. I’ve been spending a few hours every week in the lab, growing rice and, this week, starting tissue cultures. I’m really excited to try to make this work and to present my preliminary data next month. Because of the general madness, I didn’t get much writing done this month. I think I picked at Circle of Fire maybe four times, but progress is progress, right? I also haven’t thought much about This Hidden Darkness, which was supposed to be my secondary project, but that’s because I’ve decided to treat my “break” from the Windsong storyline as one long brainstorming session. This may even involve a prequel that won’t make it into the main storyline. So far, I’ve done some thinking about villain motivations and being more creative with my worldbuilding. Also, this month marks my first “blogoversary”–I’ve been blogging for a year! Yay! *throws confetti* I’ve really enjoyed having this blog since I started it last March. I love interacting with everyone who reads, likes, and comments, and writing about random science and book things that I enjoy makes a great little break from studying every week. I definitely plan to keep it up further this year. Stick around; I have some good things in the works! So that’s my month in a nutshell; how was yours? Did you do anything exciting, or was it pretty much the usual? If you have a blog, when’s your blogoversary? How much writing did you do this month? Have you ever done a research project? Share in the comments! Hello, all! It’s the last Saturday of the month, hence my summary post. Today, it is also the last Saturday (the last day, in fact) of the year. 2016, where have you gone? So today’s post will be partly about my month and partly about the whole year. Since rather a lot happened, let’s dive right in! The most notable thing that happened to me this month was that I finished my third semester of college. I survived, fortunately, with only a minor, tiny drop in my GPA. I also started working in a new lab, where I am going to be studying rice starting next semester, so I’m very excited about that. Next semester starts in the last week of January, so I’m currently relaxing and enjoying my break, with a chance to get some reading, writing, and other creative stuff done. Speaking of writing, as you may recall, last month was NaNoWriMo. I finished out with roughly 48,000 words in the complete first draft of Circle of Fire. I’ve been taking a short break from that project, and am only just starting to think about editing. During that break, I’ve started outlining another project, currently sans title, which has an incomplete draft lying around from NaNo 2013 that I’d like to restart. I still need to fill a lot of plot holes before I can start drafting, but I like how it’s coming so far. I tried to take a look at Windsong again a few weeks ago, but couldn’t stand the sight of it. I love the story, but at this point, it’s a hopeless mess, and I’m not sure how to save it. My plan is to write five or ten books before coming back to it so I can learn the writing and editing process better. Christmas also happened at the beginning of this week (Merry Christmas, everyone!). My family had an Italian dinner on Christmas Eve, and our grandparents came up on Christmas day for the traditional turkey lunch. For gifts, I was delighted to get the Writer’s Digest Annotated Edition of Jane Eyre, as well as Starlighter by Bryan Davis. I’m really looking forward to reading both of those! In the yearly roundup, I’ve read a bit this year. Not a lot (I haven’t even made 20 books, according to my Goodreads list), but considering I’ve gone a total of eight months with scarce reading during school, I’m happy with the number. (I’m hoping to get one more book on that list; I haven’t quite finished The Bourne Identity, but I think I can do that by the end of today. . . .) I made a grand total of four five-star ratings: A Wizard of Earthsea and The Tombs of Atuan by Ursula K. Le Guin, Dreamlander by K.M. 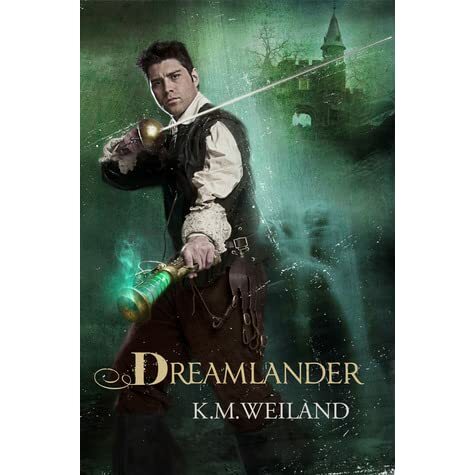 Weiland, and Ender’s Game by Orson Scott Card. Most of the others were four-star ratings, with a couple of three-stars thrown in. Apparently I’m generally a positive reviewer; I don’t think I’ve rated any book lower than three stars yet. In general, 2016 was a good year for me. I did my second and third semesters of college and my first research fellowship in between. I read a lot of good books, and wrote one that will become better with editing. I did get fed up with my primary project, so I’m taking a long-term break from it and letting it percolate for a while. And I started outlining a reboot of a book from three years ago. And, of course, I started this blog! This is my fifty-third post since I started in March, not counting a little post a couple weeks ago to notify readers about changes to my schedule for December. I’ve written more book reviews, science posts, and “my life this month” posts than I care to count at the moment, as well as a number of book quote and story beginning analyses. And I’ve jumped on the Beautiful People bandwagon for almost every month since March, including Beautiful Books last month. I even wrote a movie review when I hadn’t read a book to review (oops–but it was fun and you may see more in the future!). All in all, I’ve really enjoyed having this blog, and I want to conclude today by saying thank you to all the readers, “likers,” and commenters; like reading is the other half of writing, you all are the other half of blogging. Thank you, and see you in 2017! That’s it for me this year! How was your 2016? What did you read and/or write? Did you do any kind of school? Are you looking forward to 2017? Tell me in the comments! Hello, everyone! It’s the fourth Saturday of the month (finally), which must mean that I’m here summarizing my month for you. It’s been a bit crazy this month, so I’m not quite sure where to begin. I’ll probably be quite brief. First, of course, in the writing domain, National Novel Writing Month (fondly known as NaNoWriMo) happened this month, and is still going on. As I mentioned on Wednesday, I wasn’t going to do NaNoWriMo this year (I mean, what college student has time to write a 50,000-word novel in thirty days? ), and then on October 31st I thought, “Well . . . why not?” And here I am. As I’m writing this post this morning, my current word count is 35,847 (5,500 or so of that is from October). I’m well aware that I’m not going to finish by Nov. 30th without losing massive amounts of sleep, which would be bad for my driving to school and generally being awake in class, so basically I’m not going to hit 50K by the end of the month. But at least I’ve written probably a lot more than I otherwise have. I’m more than halfway through Circle of Fire, and I’m really enjoying it so far. I just love writing rough drafts in general. It’s so freeing. I’m really looking forward to getting to the end; it should be fun. In other news, it’s fall in New Hampshire, and a lot of leaves fell down this month. Then, on Monday, we had our first snow. It wasn’t much, just a coating, but it still caused a lot of ice and problems on the roads. Getting to school was interesting that day. School has been pretty good. Organic chemistry and physics have taken over my life more than ever as the semester starts to wind down to the end. I only have three more exams left before finals (yay!). It’s hard to believe that, by the end of next month, I’ll be a full year and a half through college. It’s quite exciting. And perhaps I’ll get more writing time over winter break. . . . So that’s my month! What about you? How was your Thanksgiving (which, of course, I totally forgot to mention in the body of my post), if you’re American? Have you had snow this month? Are you also in school? How’s it going? Are you doing NaNoWriMo, and if so, how’s that going for you? Share in the comments! 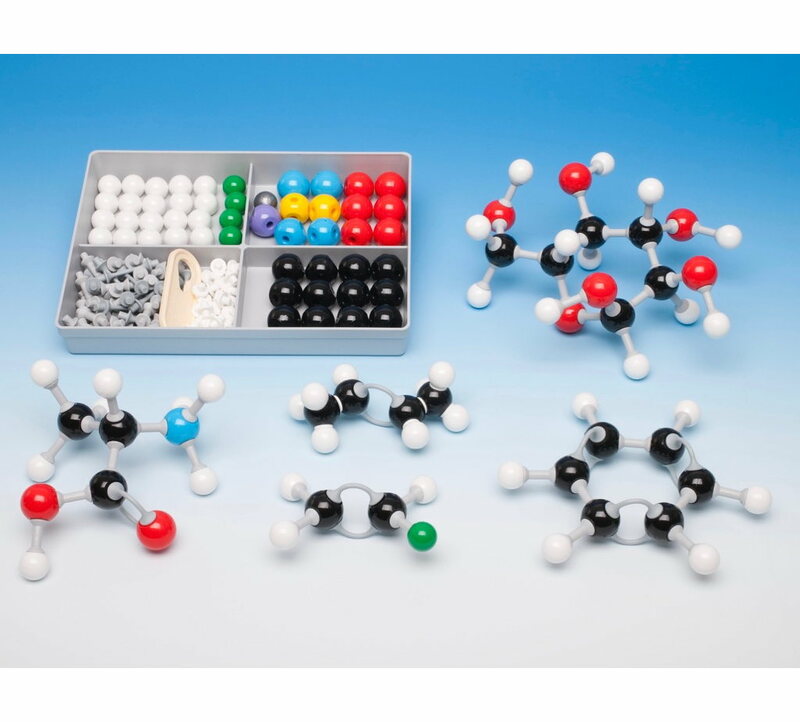 Organic chemistry is an infamous subject. Presumably, it has made non-doctors out of hordes of pre-med students because they could not tackle this class. Whenever people complain about pre-med requirements (not me–I’m not even close to pre-med), they complain about organic chemistry. Invariably. It’s just a fact of life. Apart from life organic chemistry, I am taking four other classes: organic chemistry lab (it’s its own class with its own lecture worth two of its own credits), Principles of Genetics, and Biotechnology and Society (just for fun). And I have had so many deadlines, molecules, papers, molecules, exams, molecules, quizzes, and molecules flying around already that writing (like for fun, not papers) has quite gotten lost in the mix. I have had time to do little more than coax an introductory hook and some hazy subplots out of Rahara and crew from Circle of Fire, my new project (check out the Beautiful Peoples if you’re curious!). And having released myself from self-imposed deadlines (you have no idea how good it feels), I haven’t worked on Windsong at all, besides letting the characters float around inside my head, which they were always going to do anyway. So that’s my month in a nutshell! How was yours? Did you go back to school? Are you in college? Any other writers and STEM majors here? (Shout out if you are–the struggle is real!) 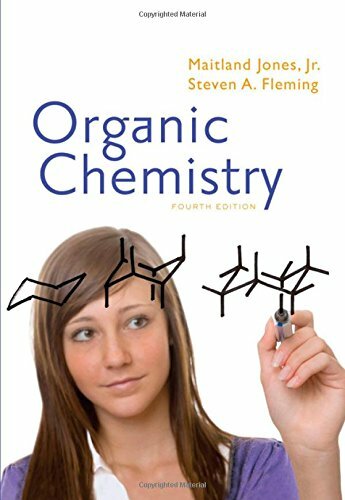 Anyone else taken organic chemistry? (No? How about chemistry at all?) Anyone else take a break from a project and start “working” on a new one? Tell me in the comments! Hello! I can’t believe it’s the last Saturday of August already. I’ve been blogging for six months! Where does the time go? This month has been pretty routine. Halfway through, I finished up the research fellowship I started back in May. It’s hard to believe I’ve got a summer of full-time genetics research under my belt already, and I’m looking forward to going back to it in the fall to finish up my projects! For the last couple weeks, I’ve been working my other job and trying to edit Windsong in between. I wanted to finish before the 29th (which is when school starts up for me), but at this point, that looks doubtful, due to lots of work and having to write a final report for my fellowship. So I guess I’ll continue to pick at it while I’m in school, if I can. On that note, much of my time has been spent gearing up to start school again. 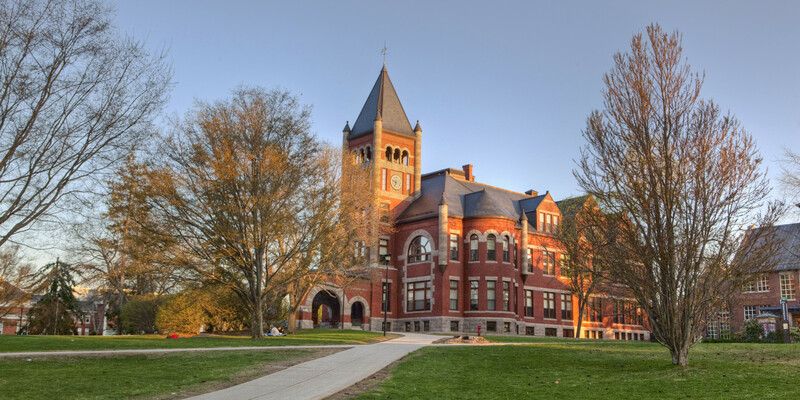 For those who don’t know, I am going to be a sophomore at the University of New Hampshire this year. I live close enough that I can commute and not have to spend the extra money to live there. I’ve already bought three of my textbooks (for genetics and organic chem–its lab has a textbook all to itself), and received one, my genetics book. It’s a shiny new hardcover, which is really cool. 🙂 And I’ve already started reading it, and it promises to be quite interesting. I’ve also bought other school supplies, like my five-subject notebook for the semester and highlighters and stuff. (And my parking permit, because I commute.) I am all set to go back on Monday the 29th! What about you? Are you going back to school soon? Are any of you out there fellow college students? Any STEM (science, technology, engineering, and math) students or prospective students? (Shout out to you all, especially if you’re also writers! It’s a weird life sometimes, but fun.) What did you do this month? Any writing or editing? Working? Tell me in the comments! My word, it’s the last Saturday of the month already. (Actually, the last Friday as I’m typing this, but you know. . . .) This month has been rather a whirlwind, but I find they’re all like that these days. In fact, it’s hard to think of a time when they weren’t. It would have to be before my memory. Anyway . . . with that little ramble behind us, let’s get on with today’s post! On the last Saturday of each month, I post a little (long) blurb about my life this month, some notable things I did, etc. Probably the most notable thing that happened to me this month was that I became a year older than I was last year. (In simpler words, I had a birthday, so I’m nineteen now.) And the country I live in decided, as usual, to promptly follow up with its own birthday. (Read: My birthday is July 3rd. Independence Day is July 4th. People are always shooting off fireworks on my birthday for some reason.) America is now 240, a good bit older than I am and a nice round number to celebrate. I’m excited to be around for the 250th in ten years! Near the end of the week, my library held its annual book sale, with hardcovers for $1 and paperbacks for $.50. There were many great deals. I picked up Isaac Asimov’s Nemesis and The Rest of the Robots to contribute to my current sci-fi kick (and Nemesis is a beautiful hardback, too! ), a thriller called First Daughter by Eric van Lustbader which looked like it fell into the same genre as the Grisham and Clancy books I’ve taken up lately, and a sleek translation of Beowulf with English and Old English on facing pages. That should be interesting when I get around to tackling it. For nonfiction, I grabbed an encyclopedia of cacti, a volume called Power Unseen: How Microbes Rule the World, and a forty-year-old title on The Biology of Flowering, to complement the old textbooks that have been lying around free outside my lab. I’m reading Nemesis right now. Speaking of the lab, in general updates, I have continued enjoying my summer research. I did another DNA extraction last week, and have been raising up little seaweeds in culture plates. I can’t believe my fellowship will be over in a couple weeks, and a couple weeks after that, I start classes again. . . .
And that’s the major points of my month! How was your month? What did you do? Did you acquire any books? Have you read any of the books I mentioned? Did you have a birthday this month? If you’re American, how did you celebrate the Fourth of July? Tell me in the comments! Hello, everyone! It’s the fourth Saturday of the month, which must mean I’m describing my life this month for you. This June, I went on a family vacation to Washington, D.C., which made me promptly forget about everything else I did this month. . . . I did, however, do some more lab work and writing-related things, which I’ll talk about at the end of this post. So I was in D.C. (we stayed in Maryland, actually) from Saturday the 11th until Saturday the 18th, which is why I didn’t respond to any blog comments made during that time until I got back. Sorry for the delay, everyone! On the 12th, our first day out doing things, we went to the Smithsonian’s National Zoo, even though it was over 90 degrees outside and the zoo is a very walking-intensive place (from where we parked, you had to go all the way up a giant hill to get to the famous pandas). Despite that, it was a great place to visit! I had only been there once, ten years ago, so it was nice to go again. Below are some of the animals we saw. It was particularly cool to be in some of the exhibits with wild birds loose around us. The next morning, we walked around various monuments (since Washington, D.C. is monument land) and passed through the National Gallery of Art’s sculpture garden. This was the first day we passed cool buildings, like the National Archives and the Department of Justice. Later that afternoon, we visited the National Gallery of Art itself. This is a great big art museum composed of two buildings; the east wing was designed by famous architect I.M. Pei and is very modernist and cool, while the west wing is a more traditional design. The east wing was a pretty quick tour, since it was under renovation, so we quickly passed under the street to the west wing. This wing was full of beautiful and interesting art, including Ginevra de’ Benci, the only Leonardo da Vinci painting in either American continent, and The Sacrament of the Last Supper by Salvador Dali, my new favorite painting (even though I don’t usually care for Dali’s surrealist work). Anyway . . . here are some more pictures for you. On Tuesday, we attended to the actual reason we were in the D.C. area, which was so my brother could compete in the national competition of National History Day. For those who haven’t heard of it, and are junior high or high school students, you should check it out (at the link above). Students compete in the paper, exhibit, performance, website, and documentary categories, as individuals or groups, junior or senior high. I’ve never done it, but this was my brother’s fifth year, and his first attendance at nationals. It was pretty cool to go. Students from different “affiliates” (there were students from places like Guam and South Korea as well as the fifty states and D.C.) traded buttons to try to get all of them, and the different range of projects was pretty interesting. Although my brother did not win any awards at the Thursday ceremony, he still had fun and will do NHD again next year. On Wednesday, we did a few different things. First, we visited the U.S. Botanical Garden, which was a really neat place, not least because it was the result of George Washington’s vision of a botanical garden in the nation’s capital to educate the populace about plants. (George Washington appreciated plants!) There was a conservatory and some outside gardens. My favorite was probably the orchid collection in the conservatory, although the endangered plants and sensitive plant in the “Plant Adaptations” section were also pretty cool. See the pictures below! After the botanic garden, we went back to the National Gallery, since we didn’t see nearly everything on our first run through. We found a few Vermeer paintings and visited the da Vinci and Dali paintings again. After that, we went to NHD night at the Smithsonian American history museum, which is a great place if you ever go to D.C. They have lots of cool stuff, like the ruby slippers Judy Garland wore in The Wizard of Oz, the hat Abraham Lincoln was wearing when he was shot, and lots of first ladies’ inaugural gowns. They also had some NHD exhibits on display that day, so we visited a couple of those as well. Thursday and Friday were much quieter. On Thursday, we attended the NHD awards ceremony, then went back to our hotel and hung out. On Friday, we visited the Phillips Collection, which is apparently America’s first modern art museum, mainly to see The Luncheon of the Boating Party by Pierre-Auguste Renoir, a famous Impressionist painter. It was a beautiful painting, and very absorbing; I sat in front of it for a while. They also had other interesting works by modern and contemporary artists, and a lovely little courtyard. That wraps up my trip to D.C., and since this is becoming a monster post, I will be brief about the rest of my month. I have continued doing research, spending most of my days in a lab happily analyzing seaweed DNA and growing seaweed spores in a little culture room. I’ve learned a lot of new lab techniques this month, such as the polymerase chain reaction (hugely important in molecular biology). I have also been plugging away at my editing, although I recently made a list of the scenes I have left to edit and realized I am going to have a huge time crunch later next month. (I set a goal of finishing my macro edit by July 31st. We’ll see if that actually happens.) But all in all, it’s been a good month, even the three weeks I wasn’t on vacation. How was your June? Did you go on vacation this month? If so, where? Have you ever been to Washington, D.C.? (If you live outside the U.S., have you ever been to your nation’s capital, and if so, what was it like?) Have you been to any of the places I visited? If so, what did you think of them? Have you ever done National History Day? (If so, kudos to you! I could never get through all the yearlong work, haha.) If not, does it sound interesting? And lastly, have you been writing or editing this month, and if so, how has it gone? Share in the comments! Hello, and welcome to today’s (celebratory) “My Life This Month” post! I am going to deal with the things in the title in chronological order, so finishing my first year of college will have to wait a couple paragraphs, but that is mostly what I’m celebrating this month. I actually won the free book at the very end of last month. I was surprised and pleased, since despite entering various giveaways whenever I get the chance (nothing better than free books, right? ), I have never won one before! I reviewed the said book, Edge of Oblivion by Joshua A. Johnston, last week, so you can click here to see what I thought of it. Having a good teacher makes a class that much better. Gas prices fluctuate constantly. Try not to fuss too much. Don’t discount anything before you’ve looked into it. Your last option might become your first. Backups happen, and there may not be a way around them. Leave the house early enough that you can sit in traffic and still be early to class. An empty lecture hall is a rare and beautiful thing. Chemistry is a hard subject. Grade scaling is necessary and good for your GPA. Commuting can be frustrating because it makes it harder to make friends. That first semester is rough. Give it time, and college will become one of the best experiences of your life. Hopefully, the scheduling will work out for half of those in the spring. Even though I’ve officially finished my classes for the year, I’m still at UNH for the summer. I mentioned last month that I got a research fellowship to study seaweed, and this week, it started. On Monday, I found myself slipping and sliding over rocks trying to get under a bridge and find a very specific kind of seaweed. 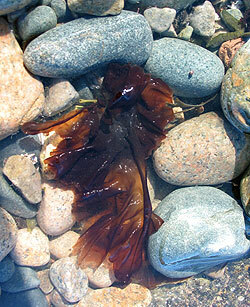 The goal is eventually to domesticate this seaweed, P. umbilicalis, but first we have to find out what species it is. On Thursday, I and the grad student in the lab got some samples from Dover Point, under another bridge (I’m fairly sure the people walking by thought I was crazy when I started shouting to the grad student that “I found some!”). I extracted the DNA from those on Friday, and next week, hopefully, we can use the DNA to identify what species we got (as long as I, ahem, actually got DNA out of the extraction). As far as writing goes, I made some progress on my book this month, even with finals week smack in the middle. I rewrote most of the beginning, which made it a good bit shorter (it was proportionally too long for the book), and started putting in a new scene. Editing goes slowly, but it does go on. I also gave in and started outlining another idea that has been nagging at my brain for months. I’m not sure how far I’ll go through with it, so I won’t give you any tidbits just yet, but I hope (right now) to have it outlined fully by the end of the year, so that by the time I send Windsong off to beta readers, I’ll have something else to start writing. And that’s my life this month! What was your life like this month? Did you get much writing done? Have you ever won a free book? Did you also finish a year of high school or college? If so, post in the comments, and we can celebrate!